While most companies today are aware that colors are symbolic and can support their brand message, that was not always the case. And it certainly hasn’t been on the radar of most smaller companies. 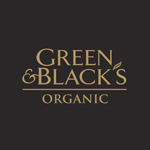 I found it interesting when I learned that Green & Black, an organic chocolate company had chosen their colorful and symbolic name back in 1991. When Craig Sams and his wife Jo Fairley were naming their company, they thought back to the quality candy brands they loved as children. They fondly remembered Barker & Dobson and Callard & Bowser which led them to the name Green & Black that sounds as if it might be an old British candy company too. Craig and Jo say that people often ask how Green & Black got its name, wondering who Mr. Green or Mrs. Black were. However they never actually existed! The name came about to symbolize the true foundations of the products: green for organic and black for the deep, rich, dark brown (almost black) color of the chocolate. Interestingly, Green & Black uses lots of gold and black, not green and black in their packaging. This smart couple seemed to understand that the use of color, whether as part of a name, logo, product or packaging, should be done strategically. Using green and black would take the look in a direction that would not communicate their primary underlying message of “premium” or “special” as strongly as the colors they chose. The combination of black and gold is sophisticated and elegant and is most often associated with something of high quality and more expensive: thus more desirable. At about $4 for a 100-gram chocolate bar, this is certainly the message they want to get across as they launch in the Canadian market this week hoping to attract chocoholics with a social conscience. The company based in London near Waterloo is now owned by Cadbury Schweppes a company well known in the confectionary industry and one that seems to place a high value on color. They have often been in the news fending off competitors trying to use a hue of purple that is in their opinion is too close to Cadbury’s brand color purple.